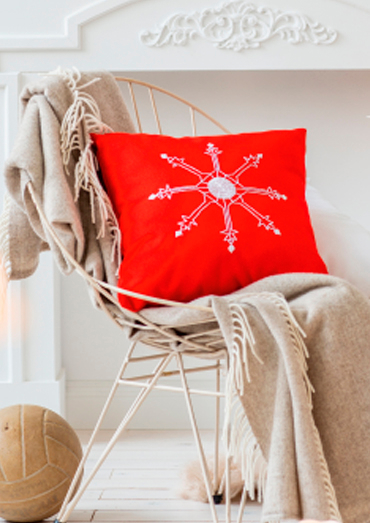 Decorate your house with festive motifs like this shinny Scandinavian star freestyle embroidery! The fresh colour creates a bright atmosphere on even the darkest of winter days - making the time up to Christmas Day fly past. You’ll love this colour-combo as much as our Scandinavian neighbours! Make your own personal touch to your Christmas decorations with these lovely embroidery ideas!